Buttoms Up To No Bites. Don't let those pesky and dangerous ticks and mosquitoes ruin your outdoor fun. 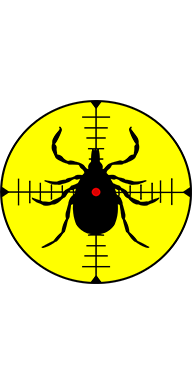 Tick and Mosquito Offense offers tick and mosquito control treatments to both residential and commercial customers. For optimum protection we recommend our synthetic barrier plus Hot Spots Control Spray Service. If you prefer to avoid synthetic; then our All-Natural Barrier plus Hot Spots Protection Service is an ideal alternative. Call us today and start enjoying your outdoor areas again! Ticks are transmitters of disease and afflicts tens of thousands of individuals in the US each year. Ticks have a beak-like projection that plunges into the skin of their host and can feed on the host's blood for hours, days, or even weeks. 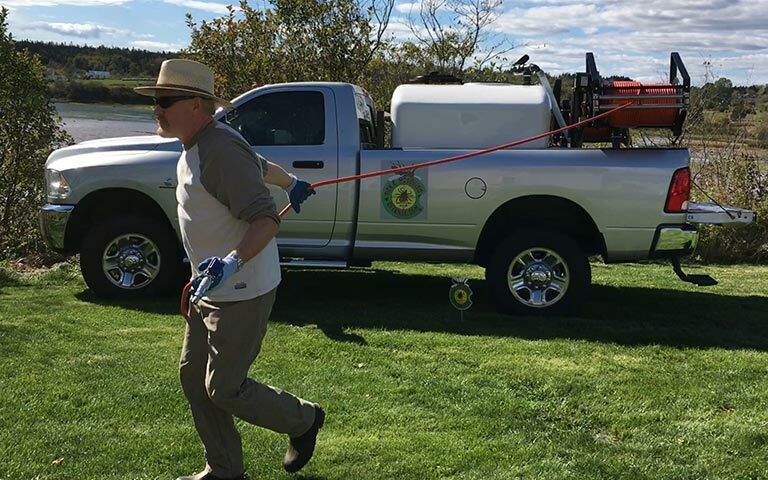 With Lyme disease on the rise, as well as a number of co-infections like anaplasmosis, which is showing up in Maine in greater numbers each year, it is important to reduce the risk of tick bites on you, your family, and your pets. Mosquitos in Maine at this point are more of an annoyance and irritation than a health threat. With one bite, however, that could all change. 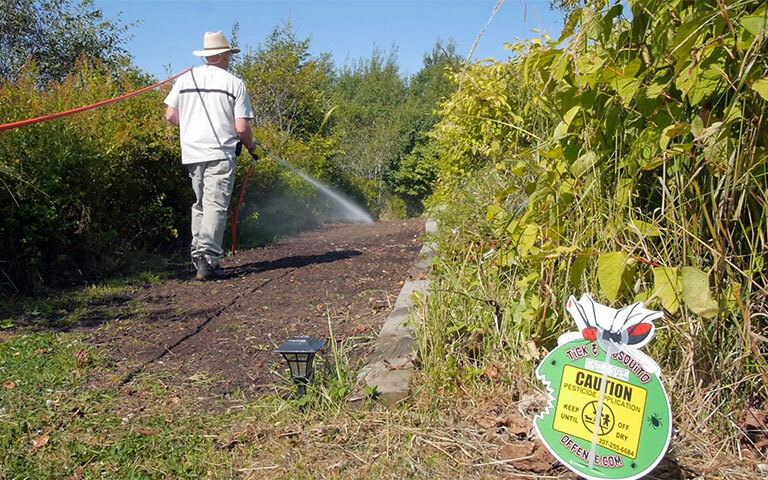 Health threat or not, reclaiming your yard and grounds for both leisure and work time is only one call away. 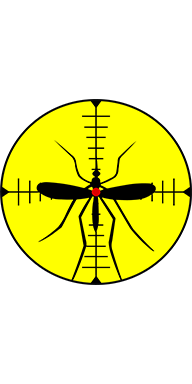 Let us put crosshairs on these nasty pests before they put a bullseye on you! Observe tick and mosquito (vector blood meal) in action. 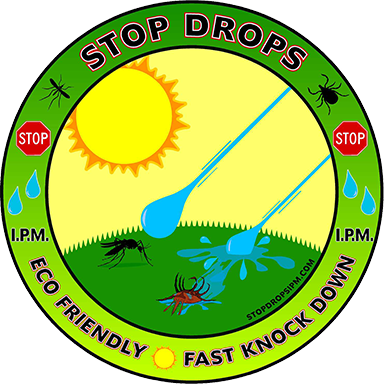 What Is Stop Drops IPM? 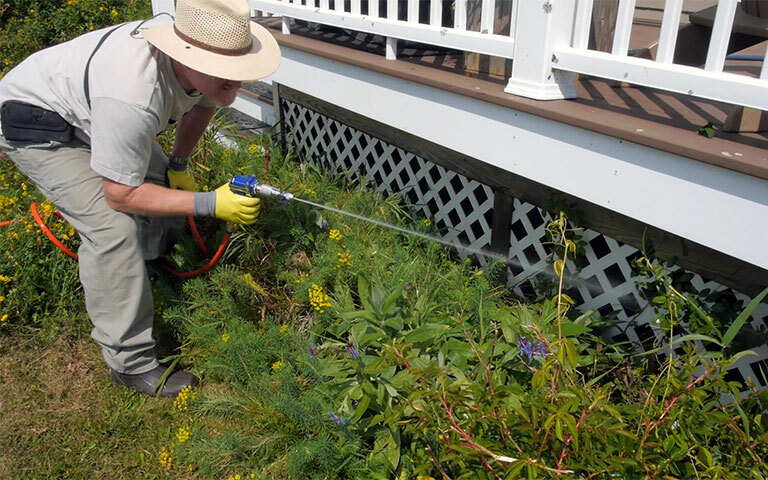 Let us make your outdoor world a safer place – call us for a property evaluation and the best solution to safely rid your property of ticks and mosquitoes. We are a fully licensed and insured company.